Energy! Everyone is talking about it. From the Prime Minister to the first home buyer, we are all searching for solutions to the energy crisis. With energy bills spiraling out of control, the public and the government are now looking for builders who know how to build the next generation of high performance projects. To help you join the energy efficiency revolution, the Green Building Institute, Masters in Building Training and the Australasian Association of Builders have joined forces to offer the industry a suite of cutting edge courses that cut through the mumbo-jumbo of policy, and offer training that can help any builder or tradie play their part in bringing energy prices down, and changing the way we build. These nationally recognised courses have been developed by some of Australia's leading experts in energy efficient construction, and have been funded by the NSW Office of Environment and Heritage. Using state-of-the-art video, animation and instructional design, builders and tradies can access this training on-line, anywhere, anytime. This unit of competency applies to those involved in the design or development of retro fits for energy efficiency, including building designers, tradespeople and building project managers. 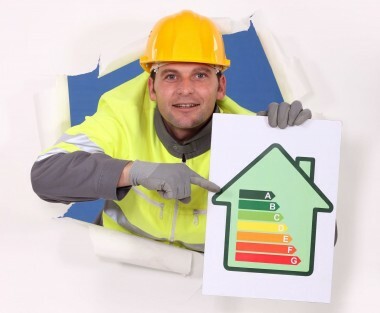 This unit of competency applies to tradespeople such as carpenters, roof plumbers, plasterers and insulation installers who identify opportunities for energy efficiency gains in a building and apply energy efficiency techniques in residential and commercial construction work. To enrol you must over 18 years of age, currently be working in the building industry, and hold a WHS White Card. You must have access to a building site or project where you can apply the things you learn. You must have internet access and access to a lap-top or P.C. with a web-cam. Nationally recognised qualification from Masters in Building Training RTO 40666. Can I use the course for CPD? How do I become an Energy Smart Builder? What are the benefits of being an Energy Smart Builder? Energy Smart Builders will be recognised as leaders in the industry. Only trained and accredited builders will be allowed to use the Energy Smart logo. In addition, your skills will be in high demand as energy efficiency ratings become one of the main features of buildings.